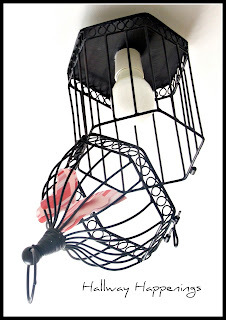 Oh wow, this is really cool, I don't think I have ever seen anyone use a birdcage as a light fixture. Really creative. Would you post this over at Sunday's Best. It's a good thing to share. Now following you. Passing good things forward to you and your new blog. Hi Cathy, thanks for the lovely comment, and I have linked up to your party. What a great idea! Yours turned out fantastically! Newest follower! What a great new light fixture! So creative! Thanks for stopping by for a visit and leaving a sweet comment. Hope you visit again soon! Still loving this light, you could make a killing is you started reproducing them. Wishing you a happy Thanksgiving, and thanks so much for sharing at Sunday's Best! This is so cute! 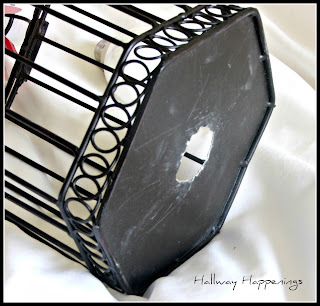 I have several bird cages I want to do something similar with! Thanks for sharing! I found your post via My 1929 Charmer's Sunday Best party-so glad I did! Your blog is great and it is so fun to meet another Aussie blogger...how funny to find you via an American blog party! I am actually hosting my weekly Pinterest party at the moment and I would be so thrilled if you could link up this post-it is Pinspirational! Ohhh-WOW! 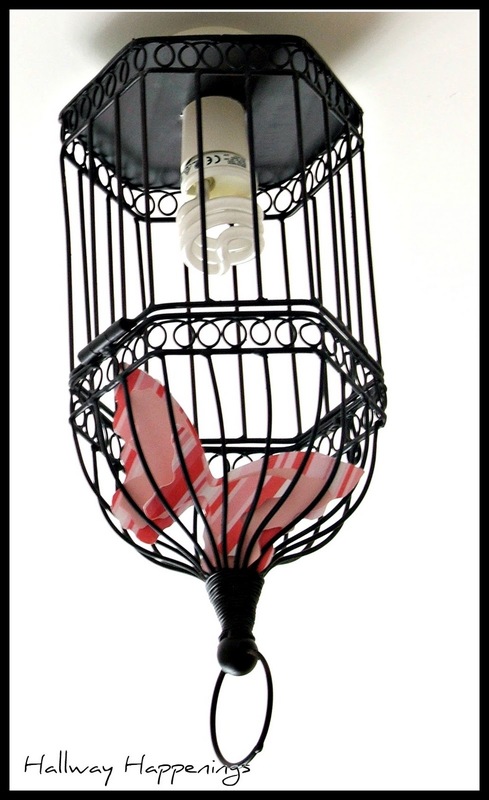 I have a birdcage that I wanted to make a light with, but now I'm undecided about turning it upside down instead of my original plan of chandelier style. It's not as ornate as the one you have here, but still pretty! 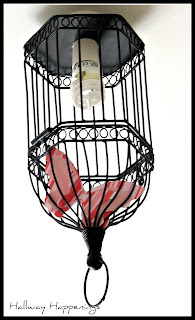 I love the whole birdcage lighting look. I think Restoration Hardware has them for a gazillion dollars! I wish I was that handy, great job!